We put our all into every project, but every now and then one comes along that gets us really excited. Banana Island was one of those. When the Clifton team was asked to design a penthouse in Banana Island, Lagos, Nigeria we knew it would be a really challenging and exciting project. 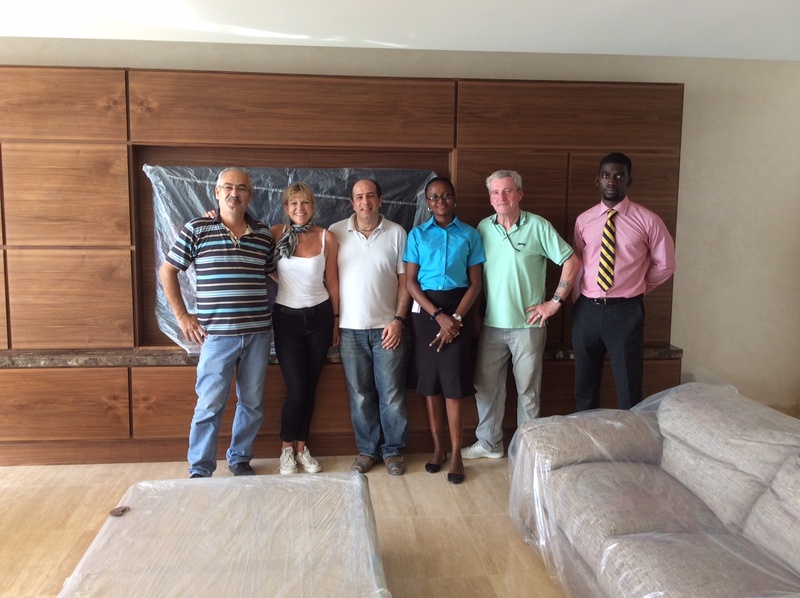 Not only did the brief include an entirely customised design from kitchen, bathroom and lighting layouts to custom soft furnishings and the highest quality joinery (something we pride ourselves upon), but it also required a logistical operation of epic proportions in shipping furniture, materials and our expert people over to Lagos. But we love a challenge, and after 18 months of very hard work Banana Island has proved one of our most rewarding projects to date. From the outset the team were determined not to compromise on quality despite any logistical obstacles we might come across. 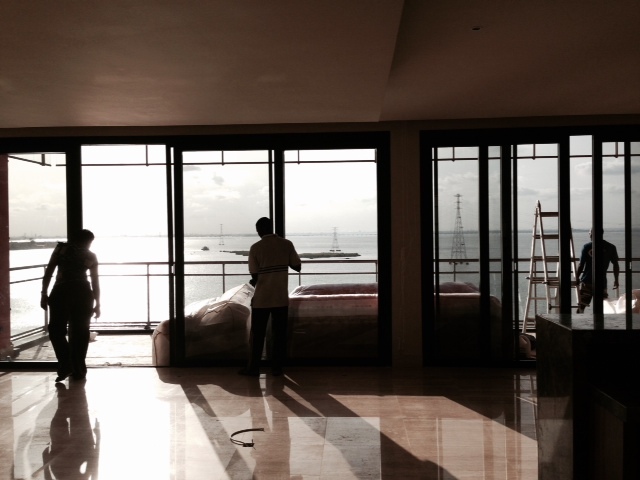 In designing our sleek penthouse interior, we opted to work with our trusted UK suppliers for joinery, kitchen design, curtains and luxury wall finishes. 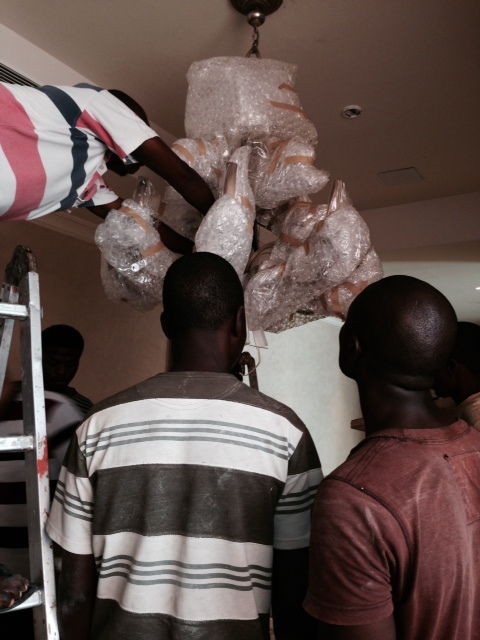 We believe that details matter, and the challenges of working in this way were such that our founder and team leader Rosie found herself flying to Lagos for four days just to make sure the curtain fittings were just right. 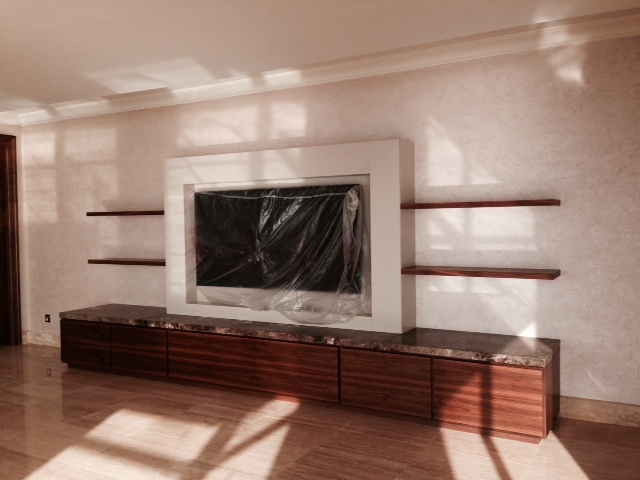 Our custom joinery is something we pride ourselves upon at Clifton, and we were thrilled to see the results of our collaboration with the best London workshops in situ in Lagos, using dark woods and geometric marble surfaces for an effortlessly chic, modern appeal. After 18 months of hard work we are thrilled with the space we have created and the relationships we’ve fostered through working internationally. Stay tuned for more pictures of the finished project in our next post!